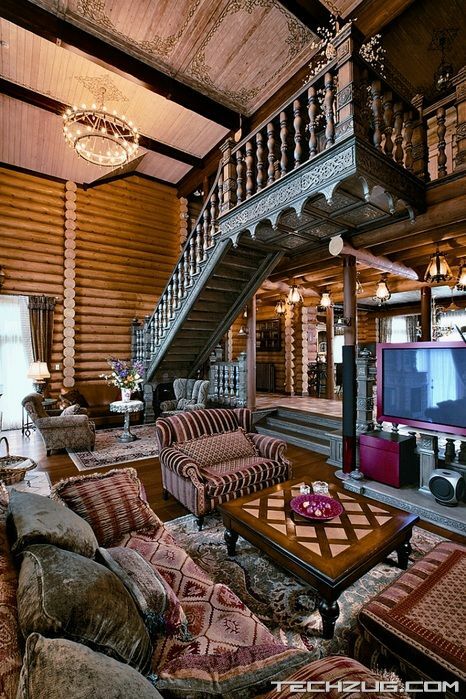 This large 640 square meter house is located in Novokuznetsk, Russia. 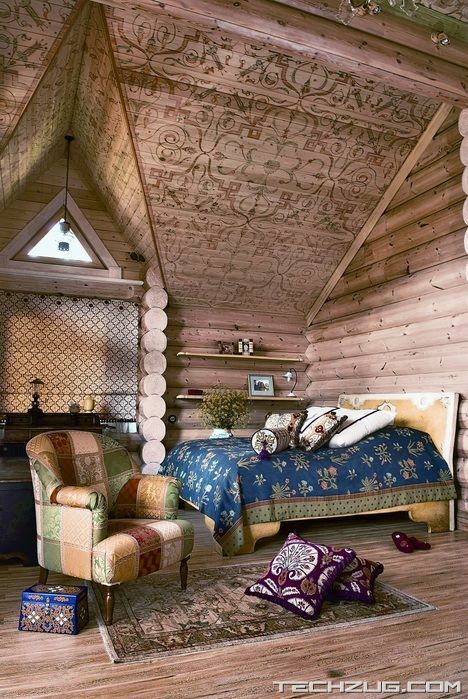 Its designed by Tatiana Rozhkova as a Russian fairy tale that meet all modern requirements for comfortable living. 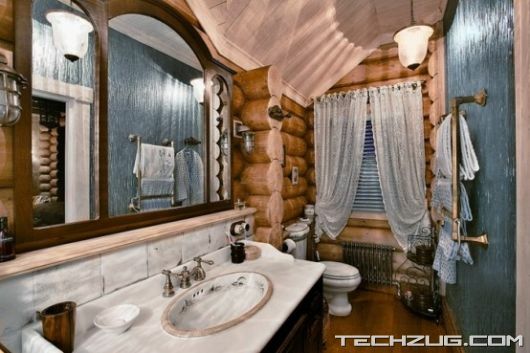 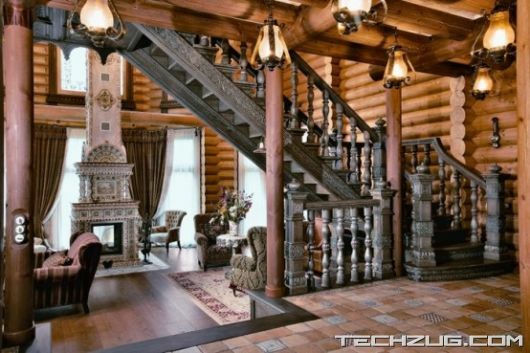 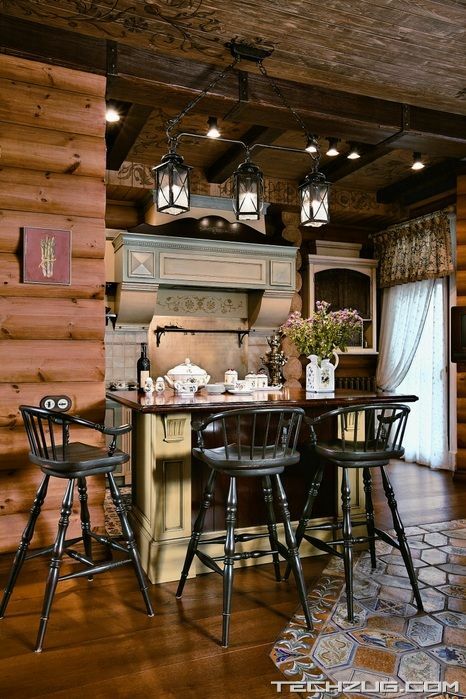 The house is made with Siberian firm and quality of pine logs of 260 mm. 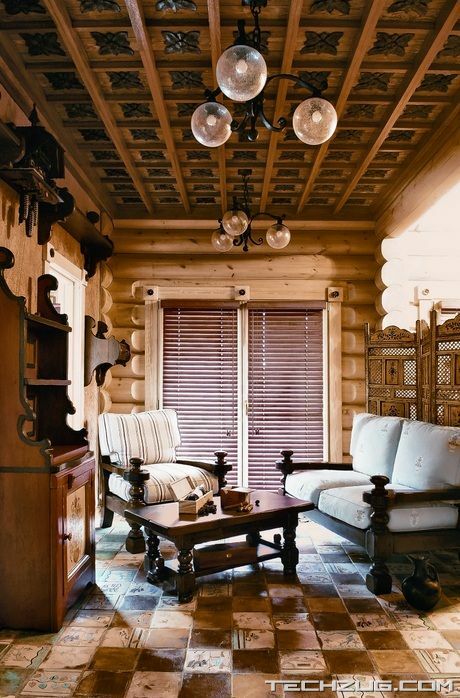 The living room is flooded with sunlight thanks to the thoughtful architecture of the home. 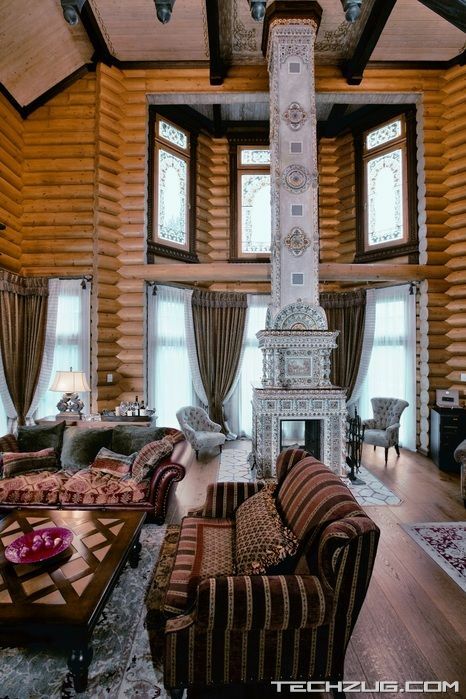 The fireplace is the main focal point of this room. 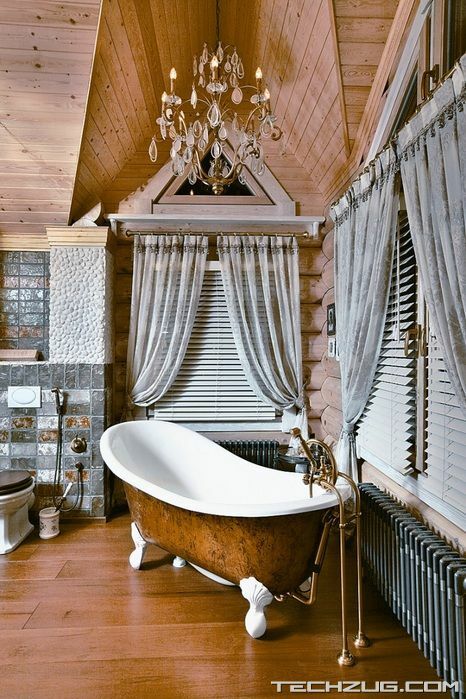 Its seven meters in height and tiles with porcelain tiles. 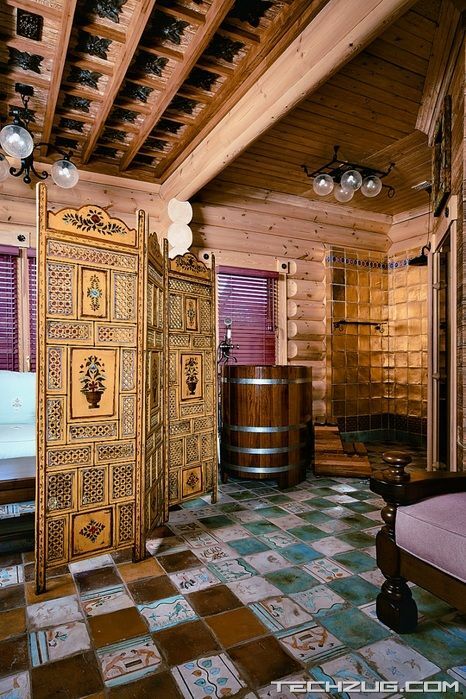 Each of its four sides has its own story and color. 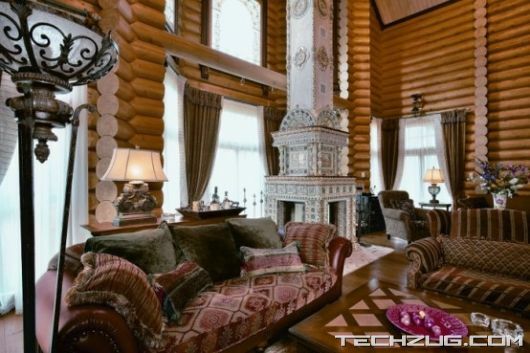 The combination of natural wood, leather, metal and ceramics around the house create an effect of noble antiquity. 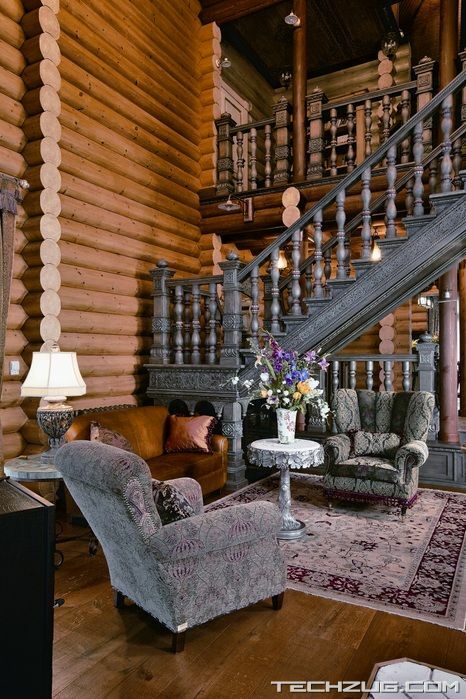 The fantastic cared oak staircase is an another focal point of the house. 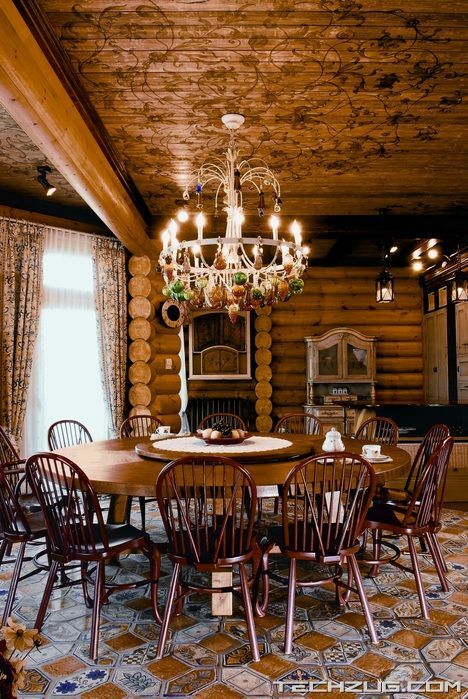 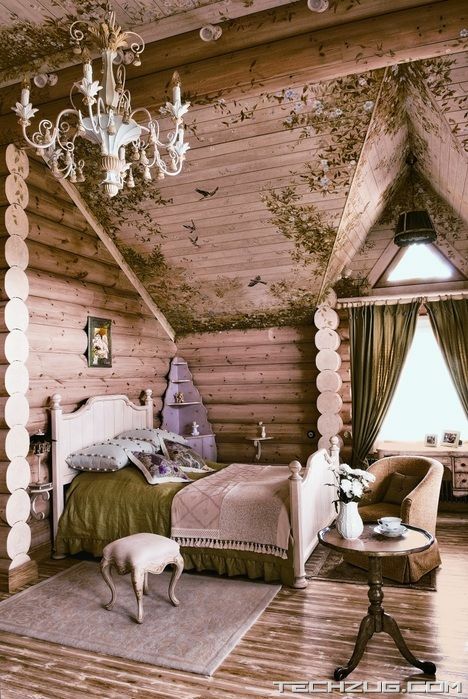 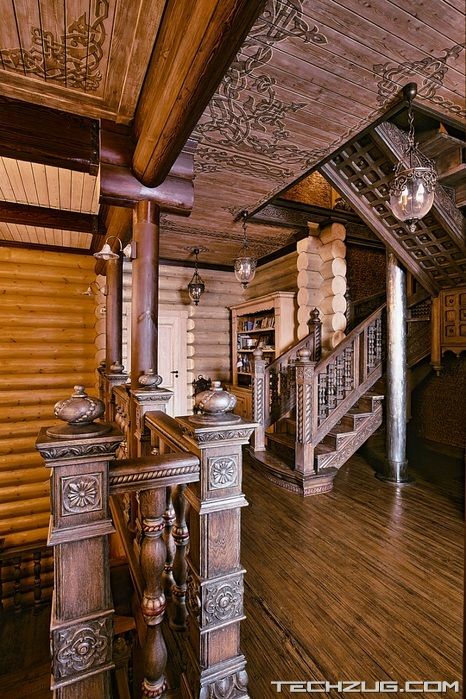 The uniqueness of this country house, which was named Siberian Tale, is that all the interior filled with custom designs by different artists.